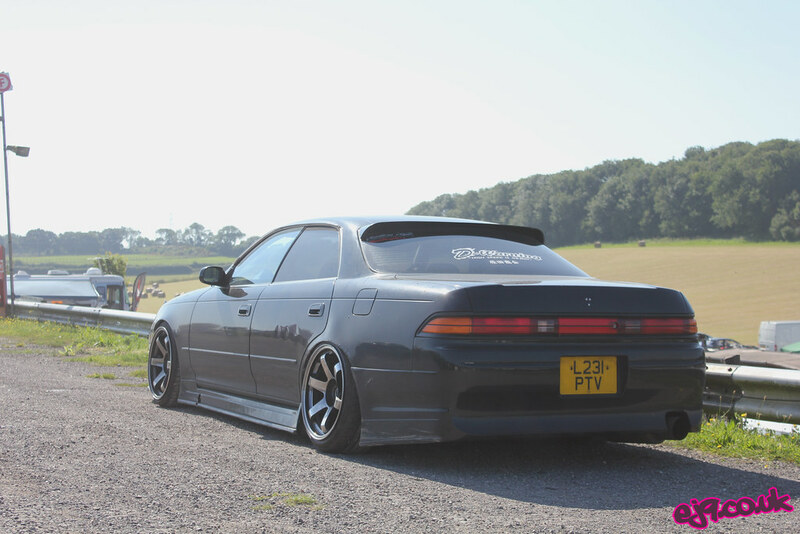 To tell you the truth, this isn’t actually Steve’s first JZX90 Mark II. From what I understand, his first one made contact with a kerb, very hard, during a late night skid session. If the picture of the damage to the wheel that bore the brunt is anything to go by, it’s no surprise that a number of key structural areas were affected (including the hub, that was snapped clean in two!). He then set out to re-shell the car into an engine-less shell that he managed to source, but somehow got distracted along the way and bought the car you see in these pictures. 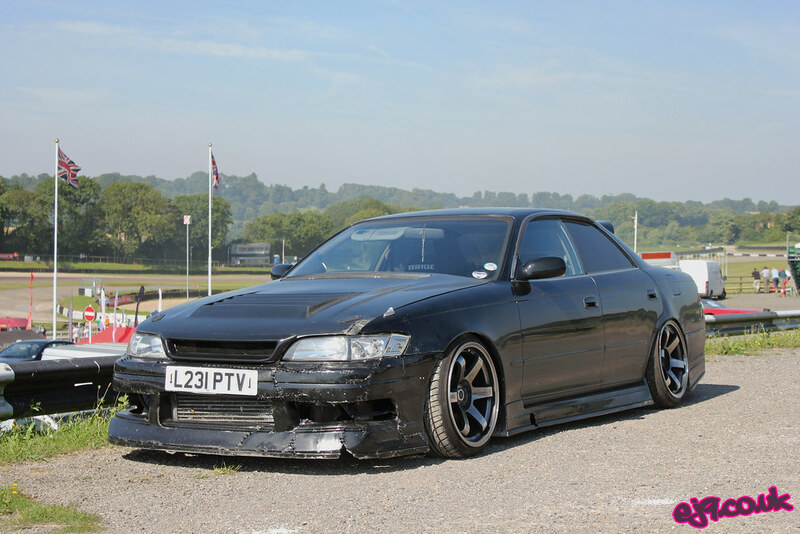 Where he keeps three JZX90s (albeit in different states of working order) I’ll never know. 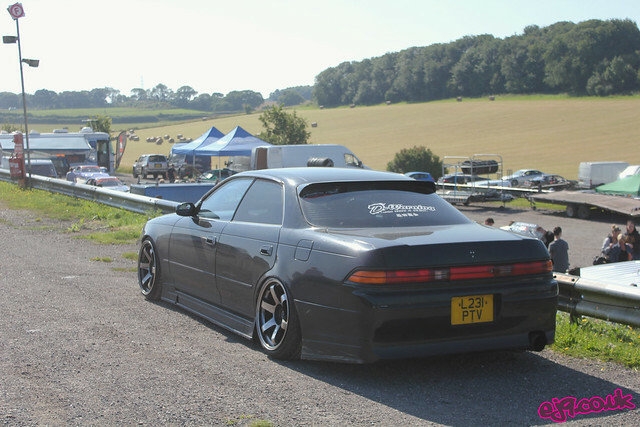 I hadn’t seen the car in the flesh before, so it was a pleasant surprise to find it parked up at Lydden Hill when I went there for Round 4 of the British Drift Championship. It’s a shame that the front bumper was destroyed by a tidal wave of water on a small country lane, but top marks are definitely awarded for the use of more than 100 cable ties to piece it all back together.